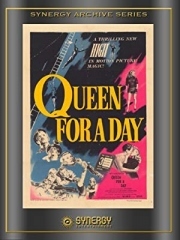 Queen for a Day was an American radio and television game show that helped to usher in American listeners' and viewers' fascination with big-prize giveaway shows. 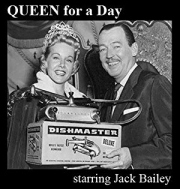 Queen for a Day originated on the Mutual Radio Network on April 30, 1945 in New York City before moving to Los Angeles a few months later, and running until 1957. The show then ran on NBC Television from 1956 to 1964. The series is considered a forerunner of modern-day "reality television". The show became popular enough that NBC increased its running time from 30 to 45 minutes to sell more commercials, at a then-premium rate of $4,000 per minute.